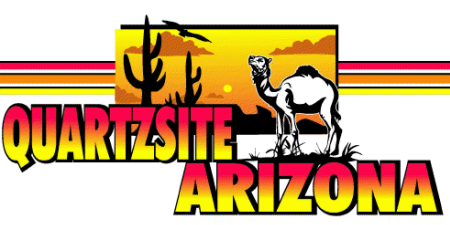 Welcome to Quartzsite, Arizona: Make Quartzsite your Base Camp for the Winter! Welcome to Quartzsite, Arizona! The Rock Capital of the World! 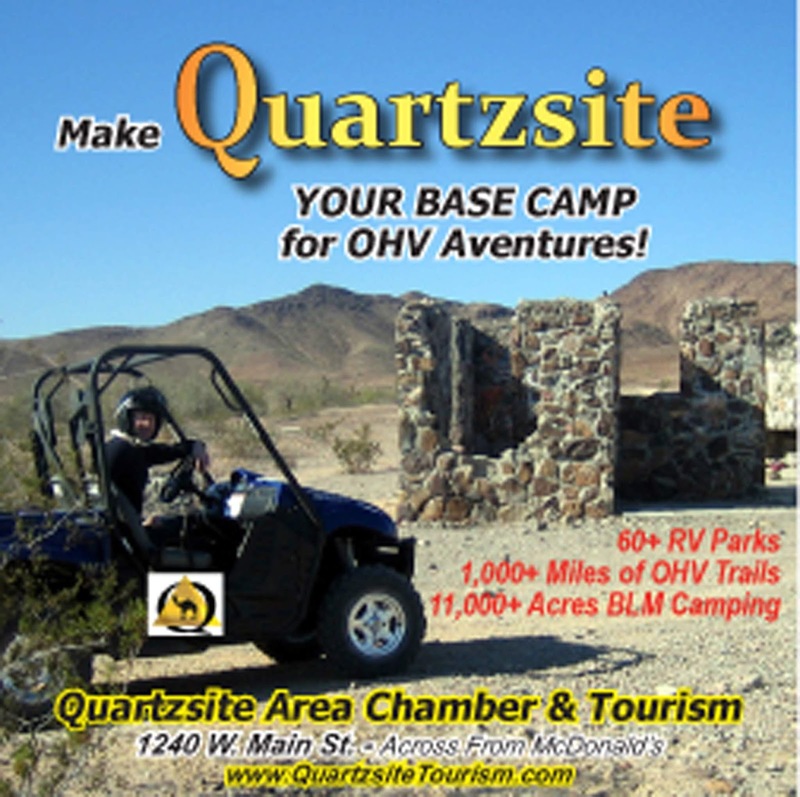 Make Quartzsite your Base Camp for the Winter! Quartzsite is a small rural community of 3677 residents, but come fall RVers flock to the beautiful Sonoran Desert for fun, gem and mineral shows, swap meets, entertainment, more! 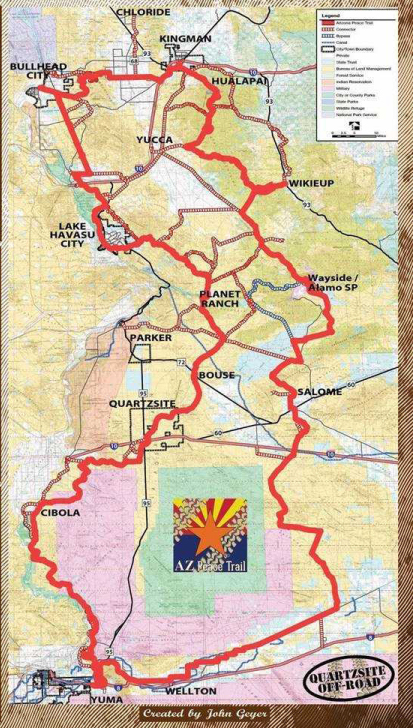 Quartzsite is your Gateway to the Arizona Peace Trail! During the winter season Quartzsite has over 1000 vendors, art shows, quilt shows, music jams, 11,000 acres of BLM Long Term permit camping, choice of over 60 RV parks, FIVE 14-day free camping areas, bingo, beautiful sunny weather, RV rallies, enjoying campfires with old friends, making new friends, gorgeous sunrises and sunsets, peaceful and inexpensive living, craft shows, free family movie nights, gold hunting, metal detecting fun at the park, mining, off road trails in every direction, deals, RV sales, camaraderie, learning something new about full time RVing, volunteering for local charitable organizations, group ATV outings in the desert, Town Library with the largest selection of Arizona literature in the state, jewelry and craft classes, great selection of delicious foods, exciting parades and events, with the grand daddy of them all: The Quartzsite Sports, Vacation & RV Show, fondly known as "The Big Tent" held each January. Check out www.QuartzsiteTourism.com for details! The Rock Capital of the World! Quartzsite located just 17 miles from the California border at the intersection of I-10 and Hwy. 95. Quartzsite has been a rock hound's paradise since the 1960's. Thousands of acres of dispersed BLM camping draws upwards to two million visitors a year. RV snowbirds enjoy the warm winters camped in over 60 RV parks and 11,000 acres of BLM Long Term Visitor Area camping, with five 14-day free camping areas. Besides over a thousand vendors each year, Quartzsite is known for its RV and ATV friendly atmosphere. ATV trails lead in all directions from town with beautiful desert scenery along the way. With the influx of RV snowbirds there's plenty to do all winter long. Seasonal Restaurants, Swap Meets, RV Dealers, Live Music, Senior Activities, Fine Art/Quilt/Arts & Craft Shows abound, Bingo, Rock Hounding, Gold Hunting, Gem & Mineral Classes, Dancing, Solar, RV Repair, and more!